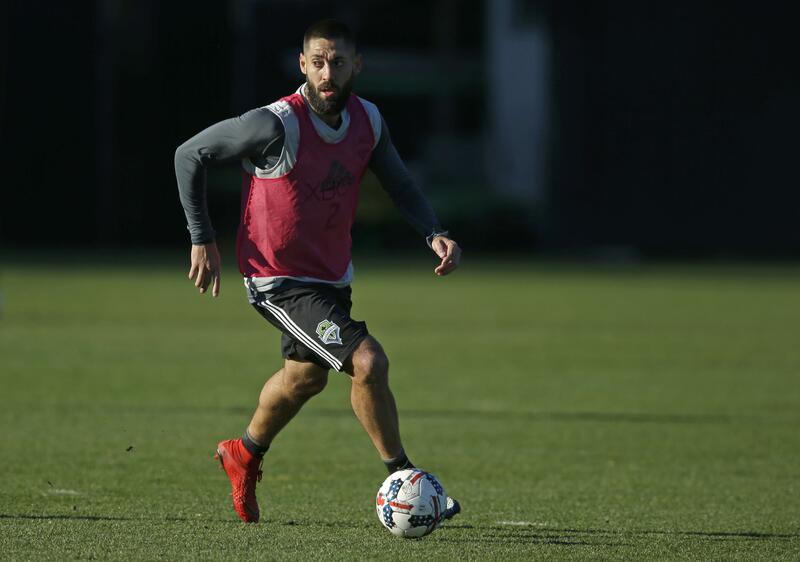 SEATTLE – Sounders forward Will Bruin has already faced one of the great dynasties in Major League Soccer history in two championship games and knows what historically strong teams look like. His Houston Dynamo squad lost successive MLS Cups to the Los Angeles Galaxy earlier this decade when they had Landon Donovan, David Beckham, Robbie Keane and others on a run of three titles in four years. And when Bruin was asked this week to compare the Sounders to those Galaxy squads, he didn’t flinch at singing his side’s praises. “This Seattle team is probably the deepest team I’ve ever been a part of,” Bruin said. “We’ve had a lot of injuries and adversity throughout the year, but we’ve got some guys who are stepping up and who’ve played some big, big minutes throughout the year. Bruin didn’t quite answer the comparison question, which isn’t surprising given how the Sounders still have to play the MLS Cup championship match this Saturday against Toronto FC. Nobody is calling the Sounders a “dynasty” just yet, though the term is relative in MLS where consecutive titles is the most any squad has garnered since the league’s 1996 formation. But capture a second consecutive crown at BMO Field against a Toronto team that just enjoyed the best regular season in league history and the Sounders can indeed think of entering the conversation. For now, the Galaxy of earlier this decade remains the league’s gold standard when it comes to elite success over a prolonged period. They won three titles in four years in 2011, 2012 and 2014 and likely should have had another in 2009 when they were upended by Real Salt Lake on penalty kicks. That 2009 game was played at what was then Qwest Field and featured an RSL unit put together by Garth Lagerwey, who was then the team’s third-year general manager. “We were underdogs in every single game, so we were viewed as a fluke,” Lagerwey recalled. Still, the Galaxy winning three titles in four years – upending the Sounders in the 2014 conference final en route to the third championship – is about as good as it gets in MLS. Only one other squad has won three out of four times, that being D.C. United in 1996, 1997 and 1999 and missing the four-peat by dropping the 1998 MLS Cup to Chicago. But that came in a much different era, when the league was smaller and the talent level nowhere near as high as it’s been in recent seasons. The Dynamo of 2006 and 2007 are the only other MLS team to repeat as champions in consecutive years, besides the aforementioned Galaxy and D.C. United sides. The New England Revolution lost both those title games to Houston as well as the 2005 MLS Cup to the Galaxy. A young forward on those New England squads in the 2005 and 2006 championship games was none other than Clint Dempsey. Alas, despite their three consecutive tries, the Revolution never could get it done in the big game. Had they managed to, they may have indeed gone down as the league’s greatest dynasty – boasting not only Dempsey, but U.S. Men’s National Team members Taylor Twellman and Pat Noonan as well. They also were no fluke finalist, finishing with the Eastern Conference’s top record once and second best mark twice during that three-year run. Bruin’s side in Houston also missed out on a shot at being considered amongst the all-time best. Much how history will view this star-studded Toronto FC side if a group that includes Jozy Altidore, Michael Bradley and Sebastian Giovinco manages to lose the championship on its home field in consecutive years. Bruin will take what he learned from the weeks heading in to his finals losses to the Galaxy and try to apply it ahead of Saturday’s contest. Published: Dec. 6, 2017, 1:11 p.m. Updated: Dec. 6, 2017, 1:17 p.m.